Just Romantic Suspense: April showers bring May flowers, or in Harlequin’s case, romantic thrillers! April showers bring May flowers, or in Harlequin’s case, romantic thrillers! Congratulations to "Lori P.", the winner in this giveaway. Thank you to all who participated! USA TODAY bestselling author, Delores Fossen, has sold over eighty novels with millions of copies of her books in print worldwide. 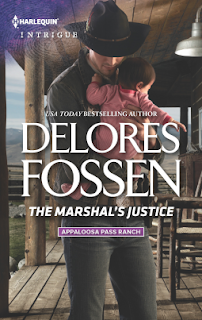 She's received the Booksellers' Best Award for romantic suspense, the Romantic Times Reviewers' Choice Award and was a finalist for the prestigious Rita®. In addition, she's had nearly a hundred short stories and articles published in national magazines. 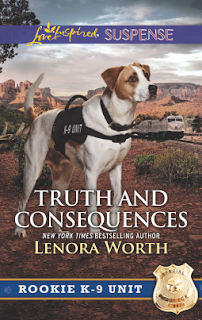 Lenora Worth has written more than thirty books, most of those for Steeple Hill. She also works freelance for a local magazine, where she had written monthly opinion columns, feature articles and social commentaries. She also wrote for five years for the local paper. Married to her high school sweetheart for thirty-three years, Lenora lives in Louisiana and has two grown children and a cat. She loves to read, take long walks, and sit in her garden. Giveaway ends 11:59pm EST May 6th. Please supply your email in the post. You may use spaces or full text for security. (ex. jsmith at gmail dot com) If you do not wish to supply your email, or have trouble posting, please email maureen@justromanticsuspense.com with a subject title of JRS GIVEAWAY to be entered in the current giveaway. love romantic suspense, have not read any of the other authors but I have read Elle James love her books. Good way to find new authors. Thanks . I love a good RS. Thanks for sharing and the opportunity to win. Oh they all sound like great reads! Thanks for the chance to win! Thanks for this romantic suspense giveaway! What a treat! These books are on my TBR list. I look forward to reading all their books.